Do you know a young person capable of changing the world? Join us in fostering the next generation of diplomatic leaders. Now more than ever, our mission of promoting peace through people-to-people relationships is essential to communities worldwide. To ensure that peaceful and mutually beneficial global relationships continue to grow and thrive, it’s up to us to engage the next generation of citizen diplomats. 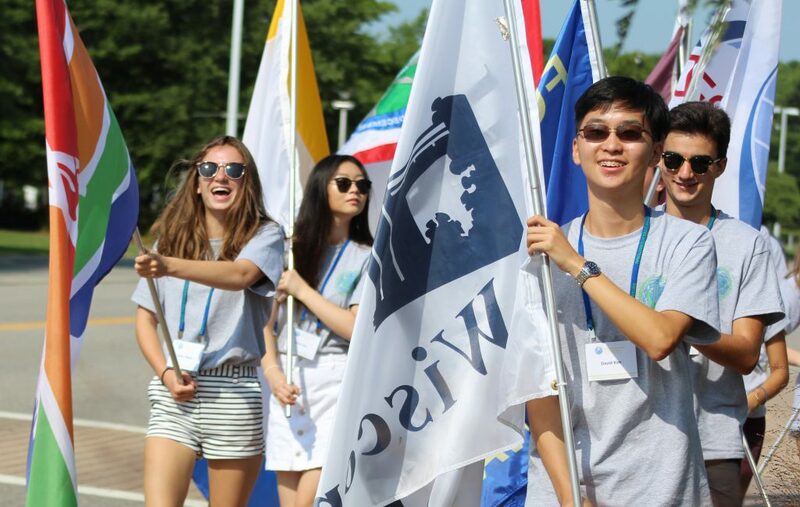 Through our annual Youth Leadership Summit (YLS), Sister Cities International empowers young people to think globally, spurring a new generation of citizen diplomats who become instrumental in promoting peace, mutual respect, and prosperity. The Youth Leadership Summit is designed to engage the next generation of leaders and introduce them to the world of international affairs. Through a specialized diplomatic simulation, site visits, speaker sessions, and peer collaboration, participants will learn how different national interests drive international cooperation on critical issues. The Youth Leadership Summit (YLS) will provide students with effective problem solving strategies, leadership skills, and insights into international affairs. Students will experience a taste of college life by lodging in dorms. Chaperones will supervise the students throughout the Summit. Online registration for the 2019 Youth Leadership Summit is open. Click here to register. Students aged 14-18 are welcome to participate in our Youth Leadership Summit. Click here to read the testimonials of students who participated in the 2018 Youth Leadership Summit. Click here to access the 2019 Youth Leadership Summit Agenda. Click here to open the 2019 Youth Leadership Summit Flyer. To learn more about what students have done in past summit, check out our recaps below. Past YLS participants have reported that they gained a newfound interest in international affairs and the role that United States cities play on a global scale.